This woman is an experienced entrepreneuse in the toy business. Now—switching end-users if not products—she’s in the PET-toy business. Our discussion showcases how fast and furiously our 3DP tech and its associated Healthcare issues are intermingling. Cross-pollinizing: to use a bio/sci term of (appropriate) art. And, you can see how other entrepreneurs in 3DP are approaching this kind of issue set: BOTH prototyping AND then using 3DP to manufacture end-product. I am working on a group of pet toy designs that I would like to 3D print in non-toxic rubber or another similar material. Shapeways[---my usual 3DP service bureau provider---]does not have a suitable material. Would you recommend MakerBot? Or do you have another recommendation. I would need to be able to print in volume. Let me know your thoughts. Thanks for your help. Top of the New Year, Pet! Hope and trust your Season’s Celebrations met every expectation! AND, the Best in all you do in 2015! Try iMaterialise first. (Largest worldwide competitor to Shapeways — and a good one!) Because I really think you want to stay with a 3DP Service Bureau — at least at your stage of product development. Until you’ve locked up the material and build plans, no? One of the salient advantages of 3DP is its inherent ability to empower rapid “iteration to success.” Getting it right is so much easier when its both quick and cheap to tweak your product—with as many revisions as you need—in design, function and/or aesthetic. Near perfection is nearer to the possible when nearest to infinite repeat. Miranda Bastijns (left), Director, iMaterialise, with your blogger (right) in iMaterialise booth at the debut “3D Printshow NY” in February 2014.
iMaterialise’s parent corp is Materialise of Belgium. They boast an entire professional division of Medical Service Bureau offerings (e.g., patient-specific implant invasives for surgeons) based in the U.S. Thus, iMaterialise is likely to know more about material toxicity issues (pets and/or babies chewing on flexible toys, etc. ), via their corporate Med Service Bureau cousins or its corporate-knowledge sources. Number #3 in consumer-facing SBs is probably Sculpteo. This a French firm with U.S. offices in San Francisco. Claims 48 materials/combos. Don’t know them…but a little Google research should tell you a lot…and then you might be able to triangulate among three competitors, no? To my knowledge, MakerBot is NOT presenting 3DP service-bureau offerings. 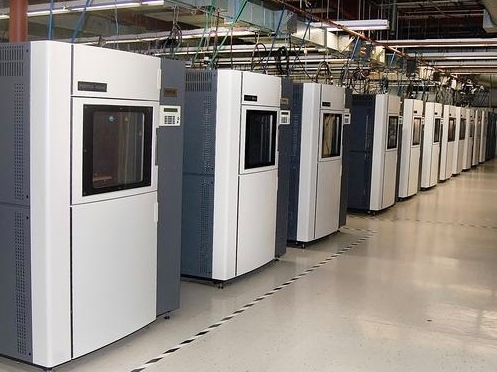 Stratasys “Fortus 400mc” 3DP Production Systems: employ FDM (Fused Deposition Modeling) 3D Printing technology; capable of handling 9 different production-grade engineering thermoplastics, including those with biocompatibility. 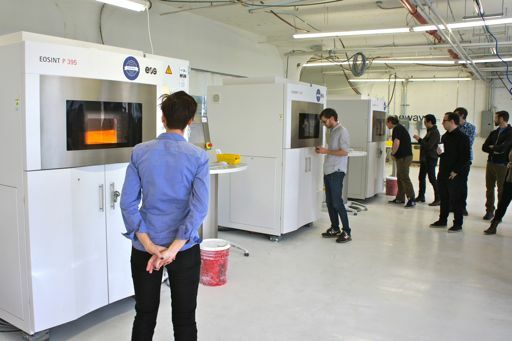 In the first half of 2014, Stratasys bought commercial-grade service bureaus Solid Concepts and Harvest Technologies and combined them—three-way—with its own RedEye industrial-grade, service-bureau business. (The common thread: all three companies use Stratasys’ Fortus 400mc 3D Production Systems.) 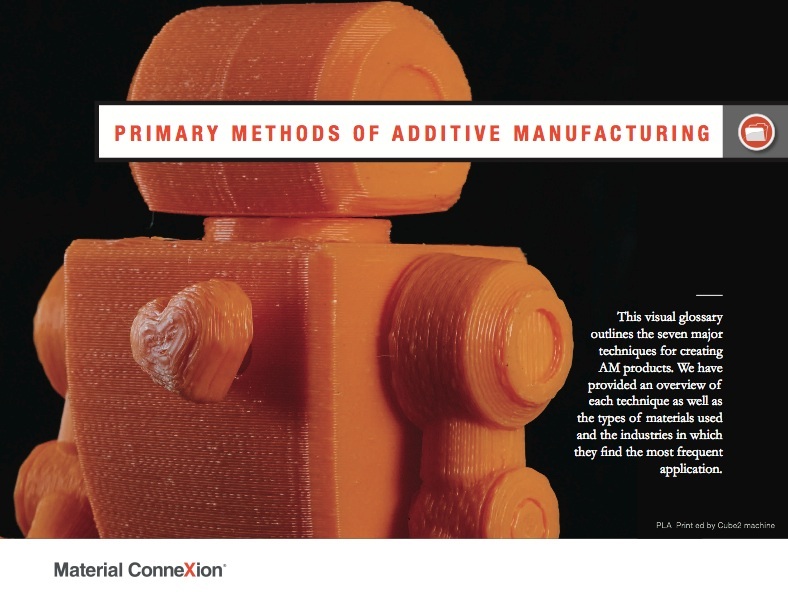 This strategic move takes aim at end-use or production manufacturing—in contrast to traditional 3DP prototyping and reverse-engineering usages of the first 25 years of 3DP. End-use 3DP production—a relatively recent manufacturing concept—is what you’re apparently contemplating for your volume production of final-product iterations. Depending on volume projections and/or marketplace price-points, you COULD successfully use service-bureau output for production. 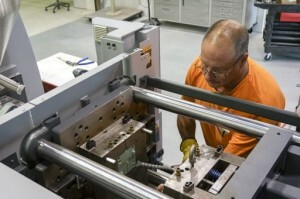 Worrell’s injection molding technician removes a polycarbonate part from a 3D printed injection mold. The Worrell/Stratasys disruptive tool of choice is new 3DP innovation in the long-established, industrial processes of injection molding. As Stratasys states, “Worrell slashes lead times by a game-changing 95% in comparison to traditional tooling, with costs plummeting 70%.” This while mitigating risk for both practitioner and device manufacturer—via very-early feedback and quick iteration in the product-development cycle. It these production attributes work in Healthcare, they can work in consumer products—like pet toys. 3D Systems Corporation 3DP Assembly-Line Printer in action. 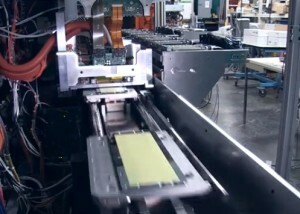 As on-screen 3DS spokesperson, Jeff Blank, VP Global Manufacturing, waxes enthusiastic with phrases like “50 times the speed ” of comparable quality 3DP’ing of today. Plus, Jeff enumerates various compelling features and benefits of a 3DS-conceived, 3DP Assembly-Line System: scalability, extensibility, production speed, customization, personalization, on-demand product cycles, complex geometries—the list of 3DP virtues on steroids goes on! This is such a great 3DS product concept—and the video is compelling—that I’m curious as to why 3DS has not made more of this innovation in its corporate marketing. Even if the completed product is months from release. Especially, as 3DS has been taking a beating on the stock market for the last several months. If I were your Marketing Consultant, I would stress material safety of your 3DP’d products. Pets—dogs, mostly, no?—are going to be chewing (and chewing and chewing!) on your pet toys. So, make a point of using Implant Safe/Medical Grade materials. Possible promotional tagline: “MedSafe for YOUR pet: when nothing else is good enough.” AND, charge more for it—maybe much more. (BTW, another of 3DP’s inherent functionalities—and the core of our industry’s empowering use in future MedSci applications—is 3DP’s capability to support “patient-specific” solutions across a broad spectrum of healthcare needs. This same built-in flexibility could apply to customizing your Pet Toys: think ”customer specific!” E.g., from “autographing” the toy with the pet’s name to custom color selections to special or unique product configurations. If ultra-safe, medical materials-based products become important, Material Connexion (MCX; here in NYC) has an entire library of materials. 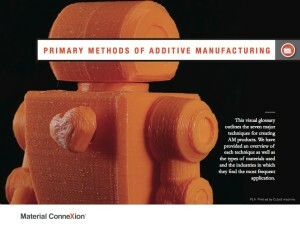 And, they just introduced a report on 3DP materials. It would probably be worth considering paying MCX consulting fees for definitive answers. That’s if iMaterialise won’t do that work for free — based on your promise as a client. Pet, if you have problems, I know execs at several of these orgs. But, then that begins to look like work! So nice to get your email. Thank you so much for all the info. It is super helpful. I need to work with a rubberized type of plastic. I have found a material…that I am working on sourcing along with a production facility. A factory…[that is apparently] beginning to work with this material. 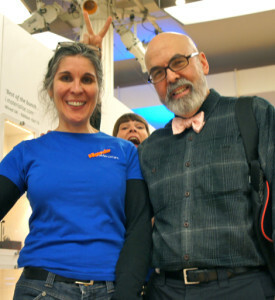 If “Pet Preneuse” shares more of her 3DP story with me, I’ll hope to showcase the appropriate insights with you.